I thought that today I would share a new scent from Monsoon that I have be loving this month. I don't know about you but when it comes to a signature scent, I never really stick to just one. Now there are quite a few that I am naturally drawn to, like this one, either due to their sweet scents or a pretty bottle. The Monsoon Rose Gold Eau De Parfum is just that! Seriously how beautiful does this look? Firstly, before we get into this I think we all need to take a moment to simply admire the beautiful packaging and rose gold detailing of the perfume. The scent and the beautifully designed teardrop bottle, with the signature rose gold colour prominent throughout. It's so beautiful. I have to say that Monsoon have done really well and they have designed a lovely bottle that looks great on display. It's made from very thick glass bottle and the bottle itself is a droplet shape with a square chunky cap as a nice contrast. Now if you didn't know, I have an obsession and love all things rose gold, I am like a rose gold magpie and when ever I am shopping I am drawn to it's beauty. So, when Monsoon got in contact a few weeks ago asking if I would like to try out their fragrance, Rose Gold. I literally jumped at the chance. The fragrance itself opens with juicy top notes of citrus, rich floral heart notes and decadent woods which have been combined to create a feminine and sensual scent - overall, such a beautiful, rich aroma. There are also sparkling notes of lemon combined with a soft fruity accord and hints of fresh mandarin. At its heart, opulent velvety rose with tuberose, neroli and cyclamen. There is also rich vanilla, musk and amber notes which gives the fragrance a signature twist. The perfume itself is available to purchase now in-store and also online. It is available in three different sizes; 30ml at £24.00*, 50ml at £29.00 and 100ml at £35.00 which means you can find the perfect size for you. The fragrance is both warm and refreshing and perfect both day or evening wear. Despite it being a light perfume, it's long wearing and would suit a multitude of tastes due to it balancing perfectly between a sweet and musky scent. I found the wear time to this perfume is just as good as the most expensive perfumes in my collection. I like to apply a couple of sprays in the morning and still smell the scent in the evening. 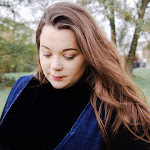 *DISCLAIMER* Mimi Rose and Me is a personal blog written and edited by myself only, unless otherwise note my reviews are completely based on my own opinion of the product reviewed. These products were supplied to me as a gift to review from Monsoon. 5 comments on "MONSOON ROSE GOLD EAU DE PARFUM "
This packaging is absolutely gorgeous! I've never really looked at Monsoon for Perfume before - will definately take a look now. I didn't even realise monsoon did perfumes but this one sounds great, I love the packaging too! Looks lovely. Didn't even know about them.